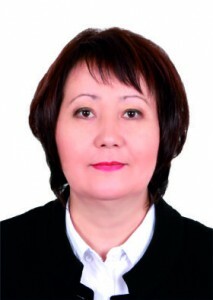 12.01.1969 was born in the village Zhairem, Karaganda region. Teaching experience is more than 33 years, including 10 years of working in KSTU. In 2012-2013.y.- a winner of International educational scholarship “Bolashak” (UK). 1.”Keep up Your English”. Textbook, Karaganda technical University, 2009. 2. “English Grammar”, textbook on grammar, Kstu, 2011. 3. Created more than 6 electronic textbooks on the disciplines of POEL. “Oil and Gas Industry”. 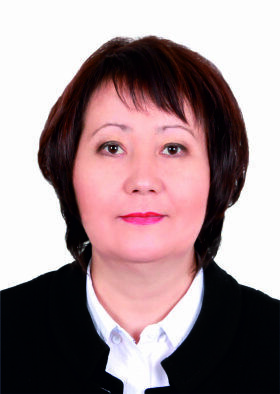 Multimedia electronic educational publication, Karaganda technical University, 2015. 4. “Oil Industry” basic version of electronic edition Karaganda technical University, 2015. 5. “Oil and Gas Industry”. Educational publication, Karaganda technical University, 2016. 5. “Firearms Training” Educational publication, Karaganda technical University, 2017. 5. Developed slide lectures on the subject of POEL for the specialty MS “Material science”. Electronic educational publication, Karaganda technical University, 2014. “The center of the Trinity of languages. Shakarim Kudaiberdiev in KSTU “in the all-Russian scientific and methodological conference and the University complex as a regional center of education of science and culture” OSU. and so on.